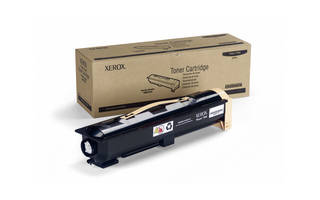 The Xerox Phaser 5550 toner cartridge, engineered specifically for unparalleled performance with the Phaser 5500 printer, yields an average of 30,000 pages at 5% area coverage. This Phaser 5550 toner cartridge uses patented Emulsion Aggregate (EA) toner technology for sharper image quality, higher reliability/lower service costs, and faster warm-up time so it's always ready to print. The cartridge monitors toner levels so you'll know precisely when it's time to reorder. And, Xerox will recycle the used cartridge free of charge through our Green World Alliance supplies recycling program.